We exhibit all of our products year round in our home office and main distribution warehouse in Omaha, NE. We are located on 67th and L street. Set an appointment up with a sales representative to have a personal tour of our products and showrooms. We break our products into categories so if you are a buyer of just winter apparel or sunglasses you can just see those items. Or if you want to see our whole line of products you are more than welcome to. We fully stand behind our product lines and when you see our product you will know why. Your customers will see the difference in quality and you will see the profitability difference as well. If you are not able to come visit us our account managers are on the road at trade shows. Our products have been featured in such shows like the Consumer Electronics Show, CES. You can also find our products in stores across the nation. As we add more shows we will update this page so check back to stay up to date! We would love to meet you at any of these shows. We will have show only specials going and often showcasing new product and display options. Be the first to know by stopping by and saying hello! In our tech showroom we showcase everything from chargers to earbuds and wireless items. Our True Tech mobile accessories will cover 99% of the phones on the market. We are quick to market with new trends. Our eyewear showroom has our iShield sunglasses and reading glasses. We carry the latest trends, styles, and colors your customers are looking for. We also have AR and blue light blocking lenses. Our leather showroom contains the latest in fashion accessories. This category contains everything from women's bags to men's wallets and belts. Customers looking for a quality wallet? We have the perfect one. Our True Gear North winter apparel line has grown significantly. We have everything your customers are wanting from simple jersey gloves and texting gloves to bomber and slouch beanies. Always on trend. Militti Sales & Promotions is a direct importer of all of our branded products. 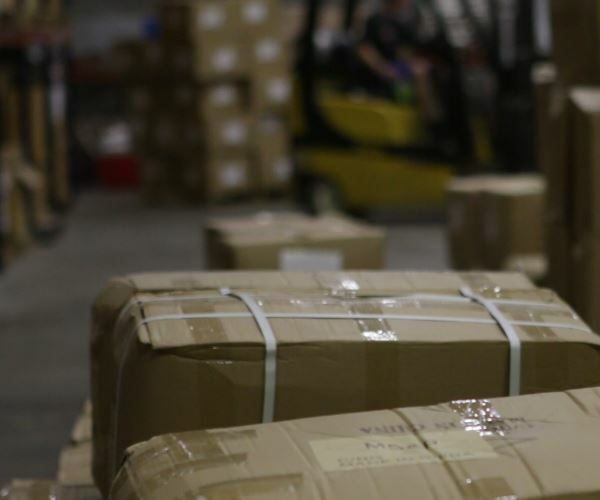 We also house all of our products in our main distribution center which is also our home office in Omaha, NE. This location allows us to get your shipments, truck line or ground, to your store and on your shelf quickly and cost effectively. Also being the direct importer you will quickly see that our lines have a much higher quality and margin. Not only will you see the difference but your customers will to. Our account managers are ready to help you see if we are a good fit for you and your customers. We will help you make more money. Give us a call, email or even a fax and we will get back to you right away. No pressing 2 for sales or 3 for accounting. Call us today and a live person will answer to help you.